UC Agriculture and Natural Resources researchers are working in the San Joaquin Valley with UC Berkeley and Department of Energy (DOE) scientists to examine the role of epigenetics in plant survival under drought conditions, an increasing concern for agriculture as the effects of climate change are felt in California and globally. The five-year study is funded with a $12.3 million grant from the DOE. Epigenetics is the study of trait variations caused by environmental factors that switch genes on and off. 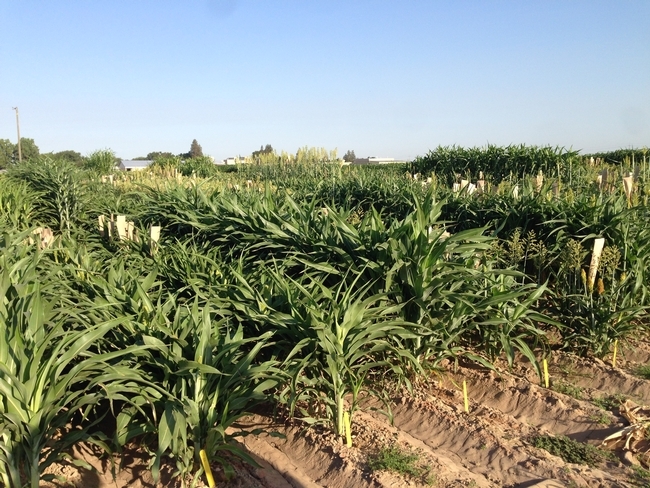 At the UC Kearney Agricultural Research and Extension Center in Parlier and the UC West Side Research and Extension Center in Five Points, sorghum nurseries will be grown under drought and well-watered conditions to compare the environmental impacts on the plants' gene expression. Dahlberg is the director of the UC Kearney Research and Extension Center. The director of the UC West Side Research and Extension, Bob Hutmacher, will manage the sorghum nursery at that facility. Funds from the DOE grant will allow Dahlberg and Hutmacher to hire two research associates and purchase new research equipment, including a new planter, a plot combine, a forage chopper and specialized tools for measuring data. Peggy Lemaux, UC ANR Cooperative Extension plant biology specialist based at UC Berkeley, is the overall leader of the project, titled Epigenetic Control of Drought Response in Sorghum or EPICON. Other collaborators are Devin Coleman-Derr, Elizabeth Purdom and John Taylor from UC Berkeley; Chia-Lin Wei from the DOE Joint Genome Institute; and Christer Jansson from the DOE Pacific Northwest National Laboratory. "Historically, the genetic manipulation of crops, which has been critical to increasing agricultural productivity, has concentrated on altering the plant's genetic sequence, encoded in its DNA," Lemaux said. "However, recent studies have shown that environmental stresses – in our case drought – can lead to epigenetic changes in a plant's genetic information. Because epigenetic changes occur without altering the underlying DNA sequence, they allow plants to respond to a changing environment more quickly." 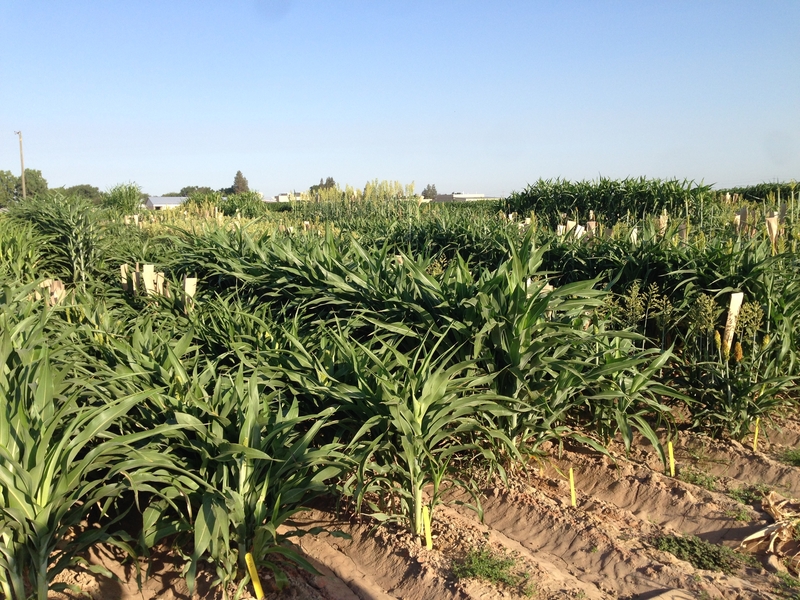 Researchers will also be tracking changes in the sorghum-associated microbial communities in the soil to determine whether they correlate with changes that directly contribute to the crop's drought tolerance. It is now well known that associations of specific bacteria and fungi with plants and animals have positive effects on host fitness. For example, microbes in both plants and humans are known to help fight disease and, in the soil, can help deliver nutrients and other resources to plants. "Availability of this data in an open forum will enable comparative genomic studies by other scientists," said Coleman-Derr, a UC Berkeley adjunct assistant professor in plant and microbial biology. 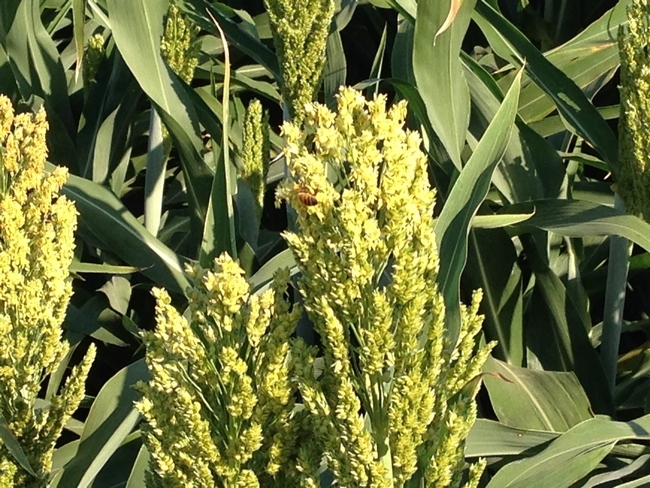 "Being able to analyze the large datasets in an integrated fashion will enable a more thorough understanding of the complex and interconnected processes responsible for sorghum's ability to respond positively to drought." The Energy Department's Genomic Science Program is funding this project through its Office of Biological and Environmental Research.